Marchesi di Barolo consists of 120 hectares of vineyards located in the distinguished Barolo region of Piedmont in Italy. The family estate has been passed down from parents to their children for over 200 years and is currently headed by 5th generation winemakers Anna and Ernesto Abbona. They maintain the work established by their ancestors and value the great heritage of knowledge and tradition that allows them to continue crafting quality wines. 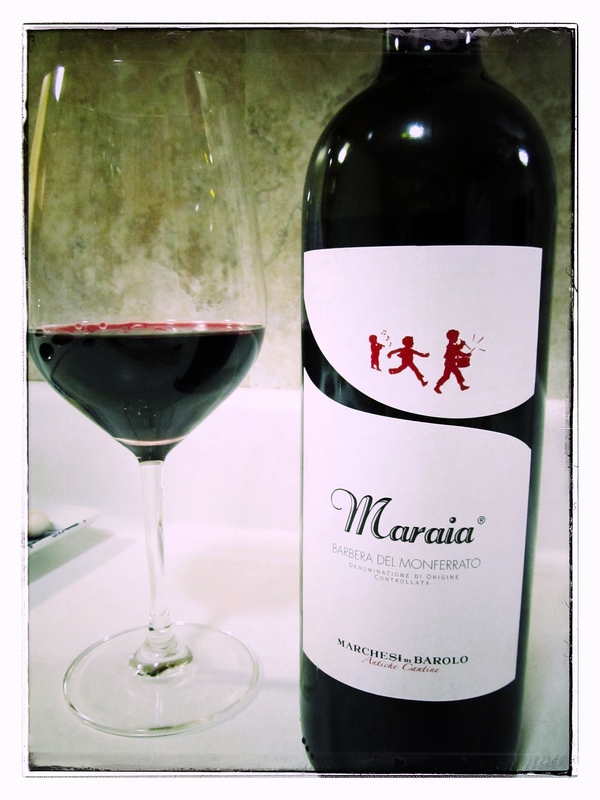 The name Maraia refers to “a young child who is especially vivacious, giggly and lively” and represents the “cheerful tone of the wine”. Red-violet in colour with aromas of black cherry, honey and hints of crushed white peppercorn. Tart wild berries, cherry and balsamic flavours joined a sharp acidity, whilst baked cherry, dark chocolate and cedar notes comprised the elongated finish. A little too tart for my personal taste, others may find it delicious with heavier, rich dishes.